In searching through an unusually bleak variety of news items this week, an election in Sri Lanka emerged as a bit of good news. Sri Lanka is that little teardrop of an island, once known as Ceylon, off the the southern tip of India. Its recent history during the past three decades has been one of a civil war between the nation's Tamil people minority and a Sinhalese majority. The civil war came to an abrupt end in 2009 with a collapse of the Tamil forces and a complete victory of the Sri Lankan military. A recent provincial election (the first since the war's conclusion) resulted in an overwhelming victory for the Tamil National Alliance (TNA). 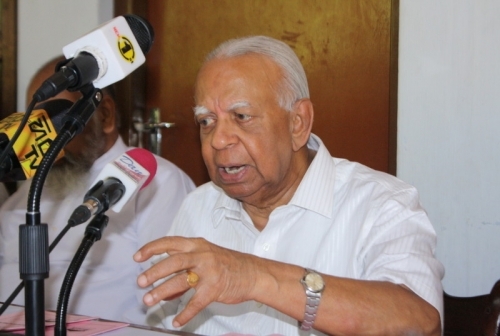 The first words from the leader of the party, TNA leader R. Sampanthan, were conciliatory, saying "his party is ready to participate in the Parliament Select Committee appointed to resolve the national issue if the government agrees to a meaningful measure to devolve power." 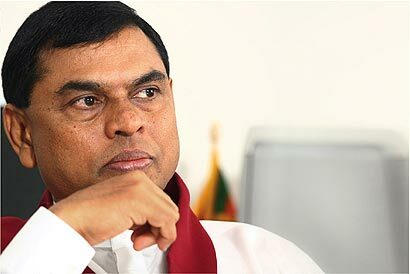 At the same time, addressing a media briefing in Colombo, Sri Lanka's Economic Development Minister Basil Rajapaksa, who is in charge of the development in the war-torn North, said the government is willing to work together with the TNA within the framework of the Constitution. "Minister Rajapaksa stressed that now the TNA has received the power they have responsibility to fulfill the needs of the Tamil people. He expressed hope that the Tamil party would not lead the northern people to another separatist struggle." A quick summary. The defeated Tamil people, concentrated in the north of the country, have a stronger more unified voice now, and want their elected leader to pursue a policy of greater autonomy for the "distinct Tamil people" in their historical lands. The Sri Lankan government, overseeing the victory over armed separatists four years ago, also want to move forward in a positive fashion - one thinks that elections themselves is a step forward. As Teatree thinks about it, there are some similarities between this story and the previous post about the Philippines where separatists have moved to seek autonomy in practical aspects of government, in spite of sporadic outbreaks of violence. The temptation of advancing a cause through violence. One also thinks back to the Muslim Brotherhood winning elections in Egypt within a year of the former Egyptian President Mubarak's loss of power, and how quickly the new President Morsi attempted to move beyond constitutional limits by issuing decrees, etc. So many ways to instigate violence and further instability rather than carefully treading a path that avoids them.